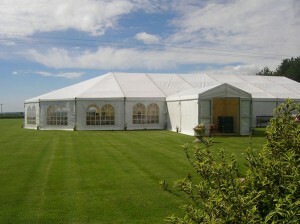 Once the marquee is removed the grass may be a little lighter in colour depending on how long the marquee has been erected for but this will soon recover leaving no lasting damage. 22 Responses to Will the marquee ruin the lawn? your sites great, keep it up! I’ll go ahead and bookmark your website to return down the road. & it helped me out a good deal. I am just hoping to provide something back and help others such as you aided me. Really good info. Lucky me I stumbled upon your website by chance (stumbleupon). Its as if you read my mind! You seem to understand a lot approximately this, like you wrote the book inside or anything. message home somewhat, however besides that, that is great blog. articles or reviews, however this weblog gives quality based articles.